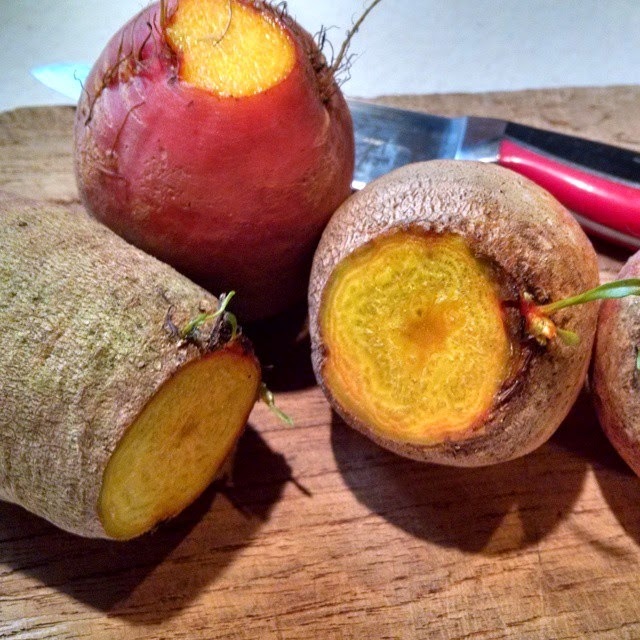 When I shopped recently at the Winter Farmer's Market at Coastal Coffee Roasters, I purchased some awesome Golden Beets and a Pheasant from Wishbone Heritage Farms. These beets are completely organic and have great "greens" I also used for steamed beet greens and beet greens salad. What was even better? These were so good even my "not so adventurous husband" loved them and told me ... "these are a keeper." Trim off the beet greens and reserve for another use. 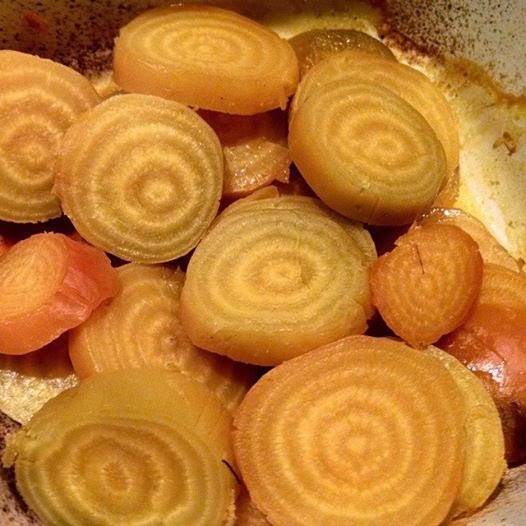 Wash the beets well but do not peel, and place in a shallow baking dish. In a small bowl, stir together the olive oil and water. Pour the mixture over the beets and toss to coat them completely. 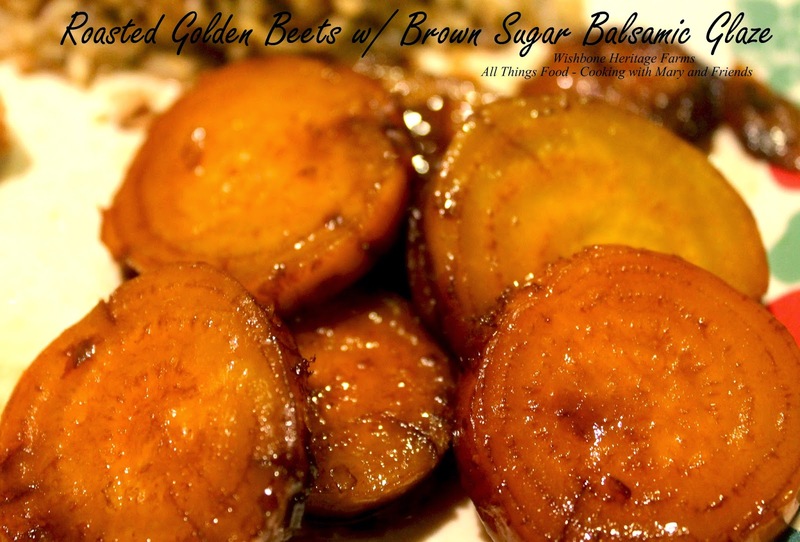 Bake in a covered baking dish until the beets are tender when pierced with a skewer, 45 to 55 minutes. Remove from the oven, uncover and let cool for 10 minutes. Meanwhile, in a small saucepan, stir together the balsamic vinegar and brown sugar. Bring to a boil over medium heat, stirring to dissolve the sugar. Continue to boil until reduced by one-third, about 10 minutes. Remove from the heat. Peel the beets by slipping off the skins, then cut them crosswise into thin slices. Place in a warmed serving bowl and drizzle with the balsamic glaze. Season with salt and pepper, toss to coat and serve immediately.